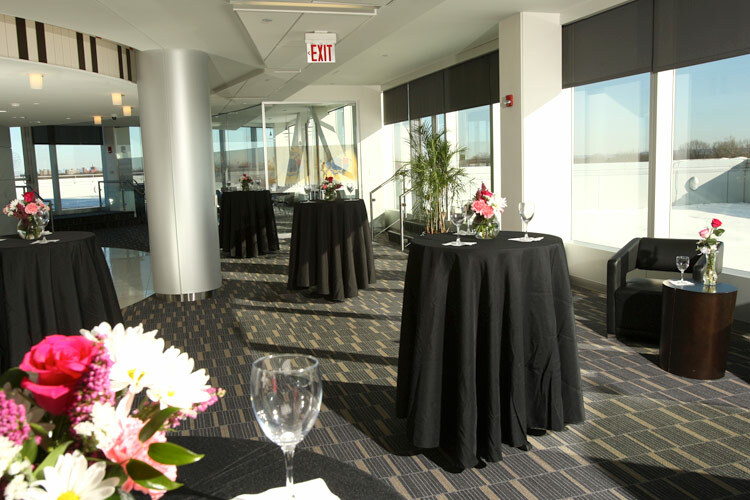 Propose a toast with a cocktail reception on the rooftop terrace of the Donald R. Conklin Conference Center with its charming views of the Manhattan skyline, before you and your guests elevator down to the eloquent, glass-exterior lobby for an intimate evening of dinner and dancing. 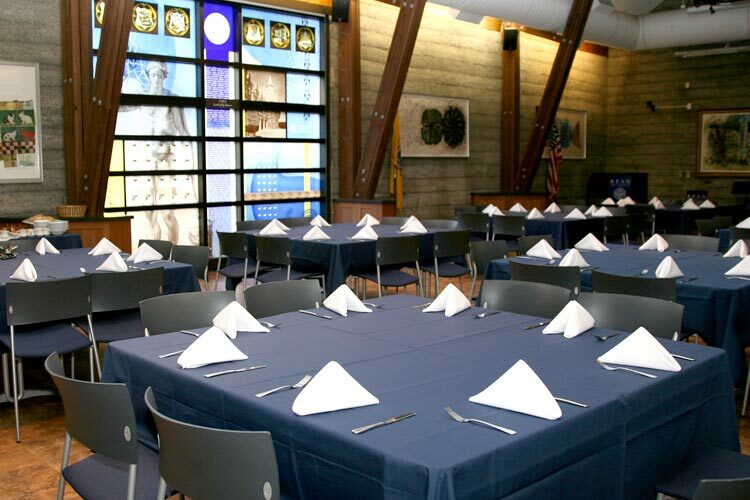 Or perhaps you’re planning a luncheon, recognition ceremony, fundraiser, reunion or birthday party. 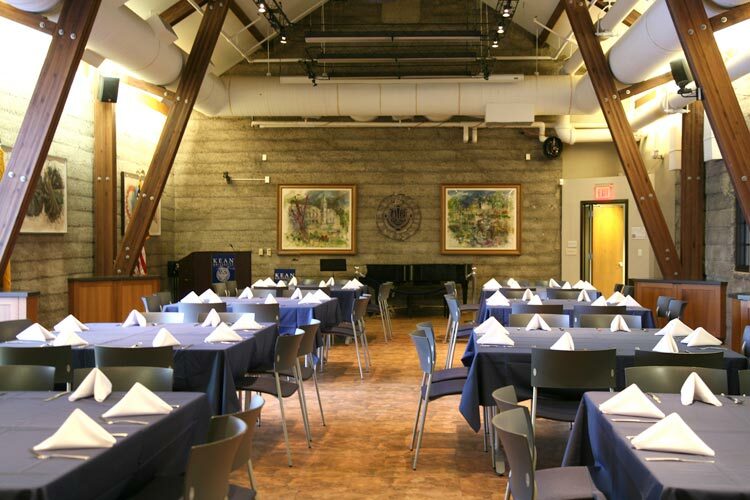 Our variety of elegant dining and reception halls are suitable for large audiences or intimate gatherings with friends and family. 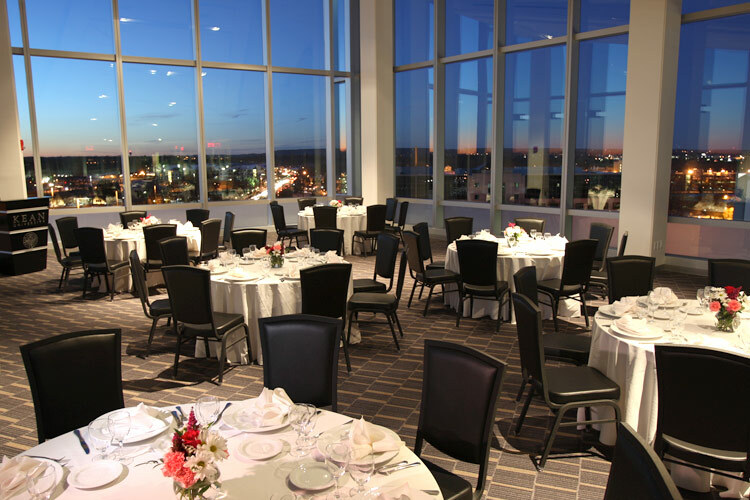 a glass-exterior and open air terrace with views of the Manhattan skyline. 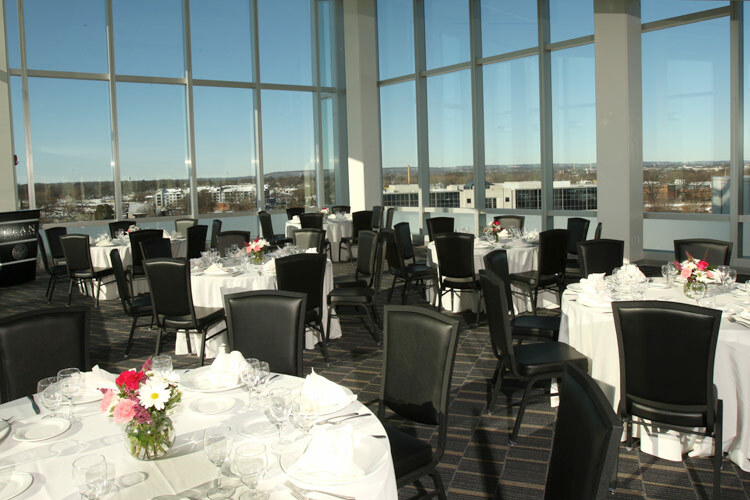 Banquet-style seating for 200; Standing capacity 400. 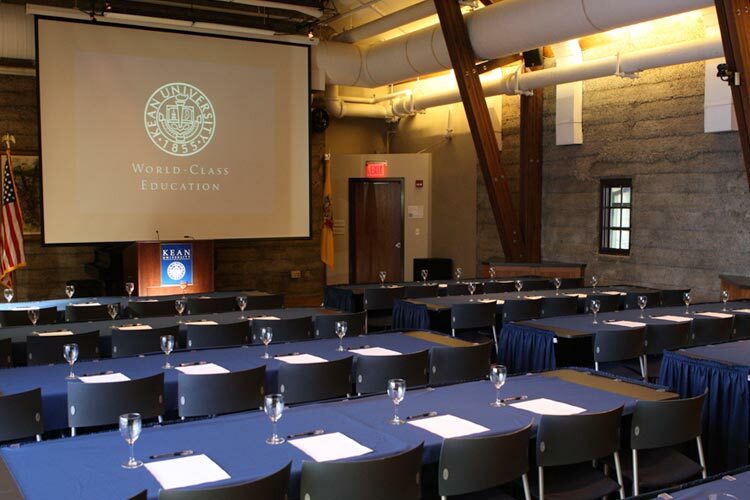 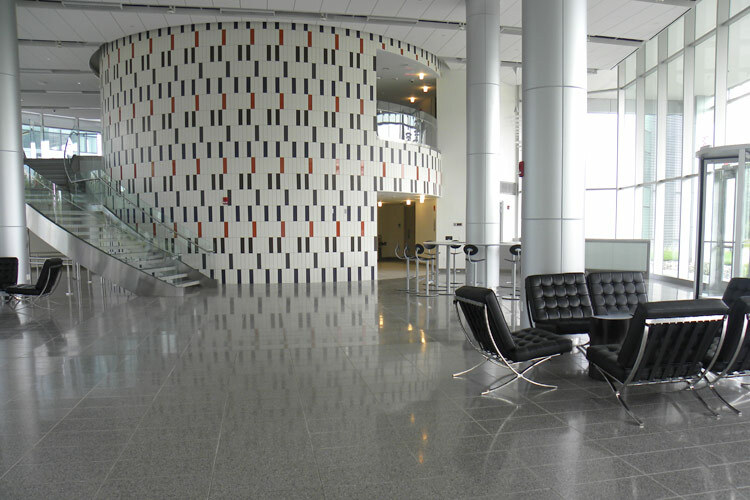 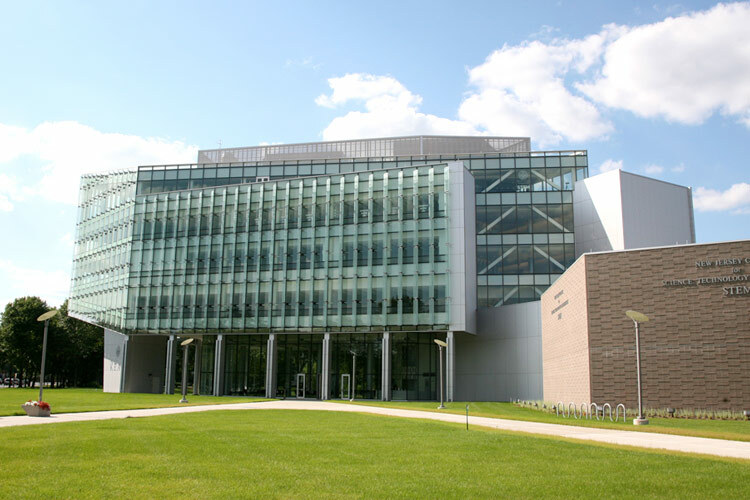 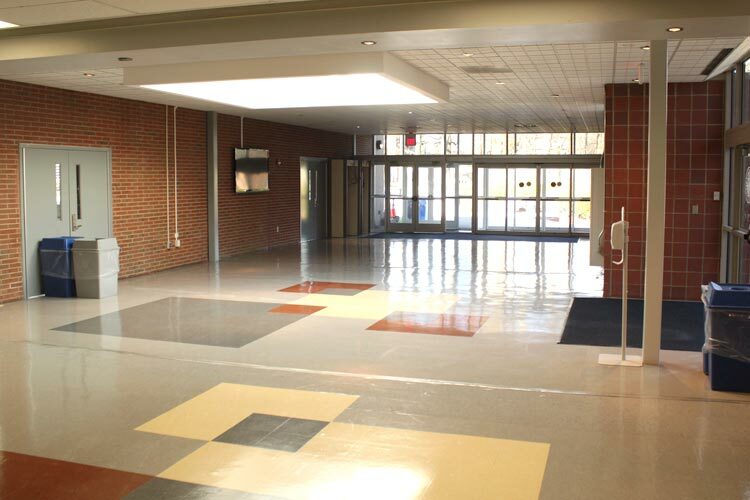 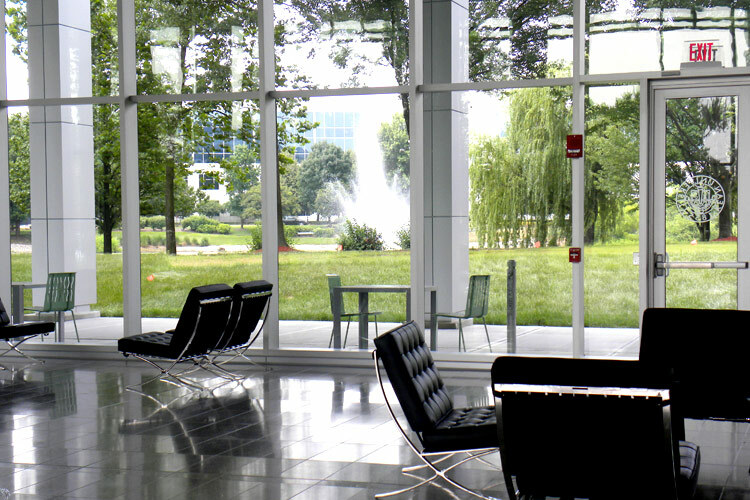 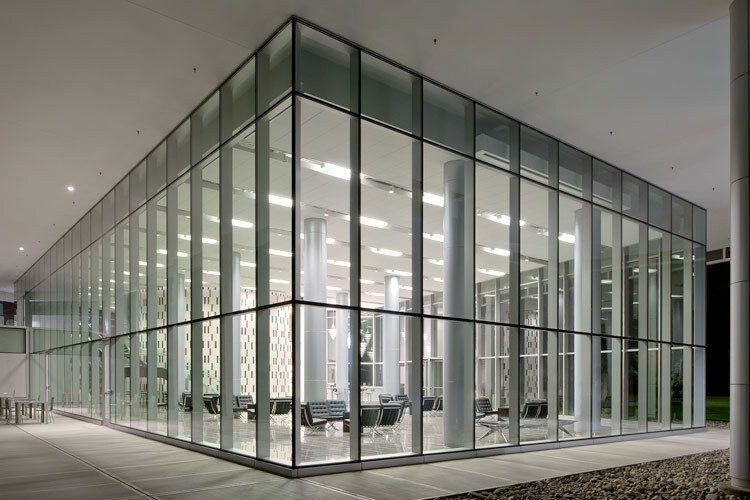 Located on the ground-level of the newly built STEM building, featuring a glass-exterior with outdoor porticos, a grand staircase and terrazzo flooring. 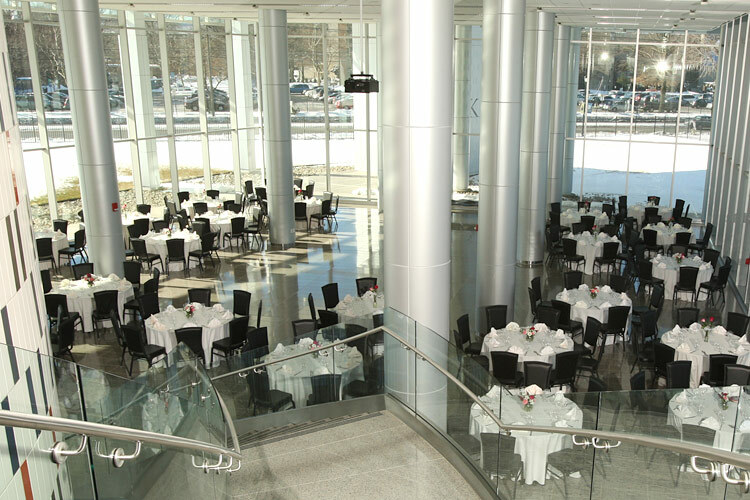 Banquet-style seating for 200; Standing capacity 600. 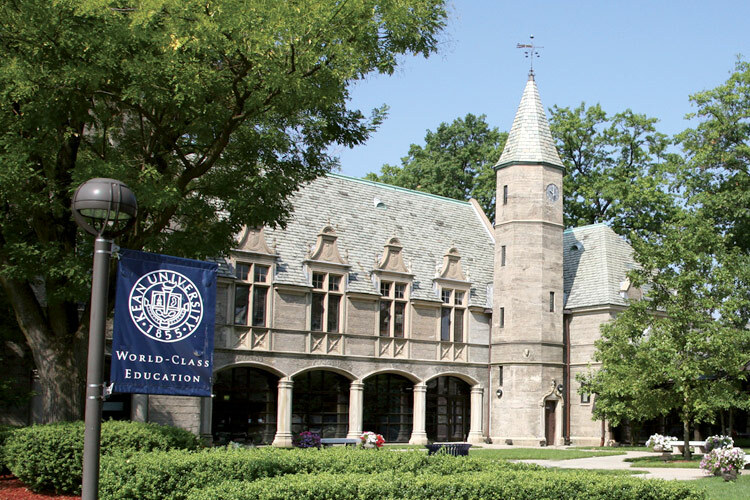 Located on the Main Campus, this historic building is the focal point of the University. 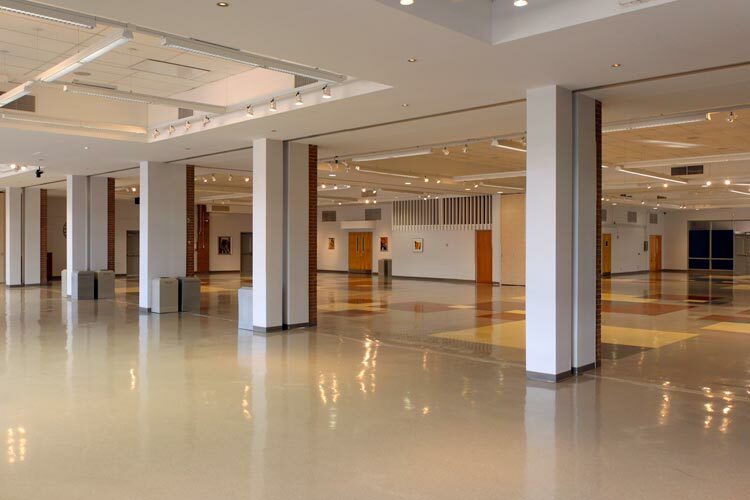 Large multipurpose room with room dividers and lobby registration area. 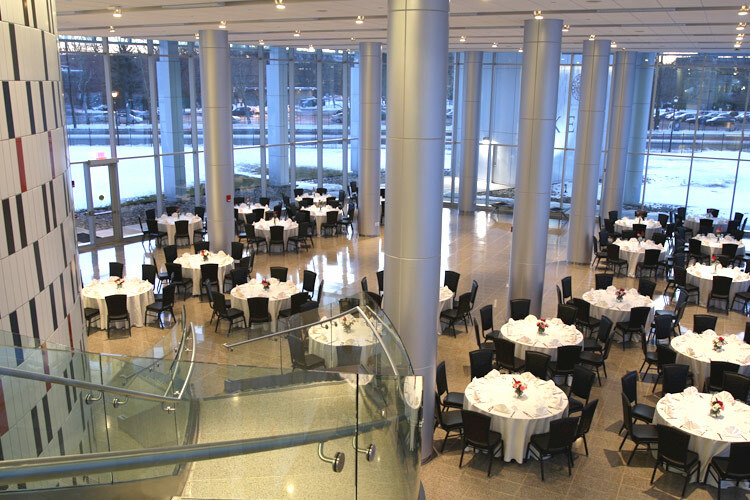 Room dividers allow for four separate Dining Rooms suitable for gatherings of 150-200 people. 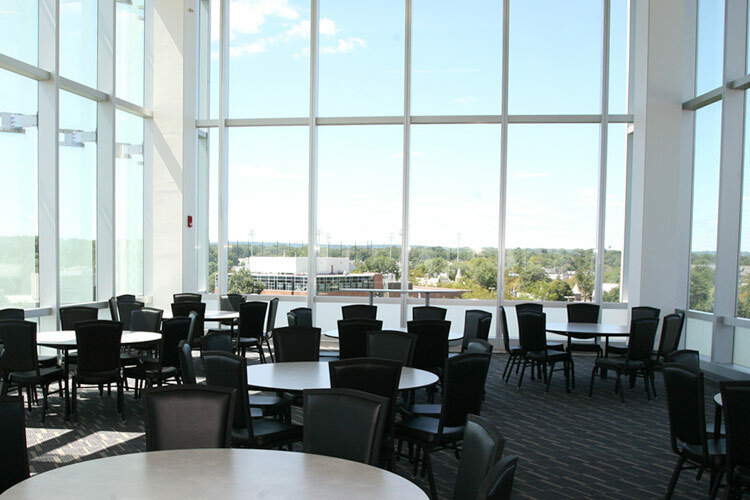 A patio and tent are also available for events from April 15 through November 15; banquet-style seating for 200.